Our latest range of performance glass provide more options than ever before to create the perfect environment for any home, extension or conservatory. In conjunction with the leading glass manufacturers we have put together a range of glass to ensure a comfortable living space all year round. Our solar control, self cleaning glass is ideal for conservatory roof replacements, helping keep the conservatory useable all year round. We have taken this technology and developed a range of window glass that works together with the roof glass to provide a glazed extension that can be used throughout the year. Industry leading glass products designed for modern glazed extensions and skylights. 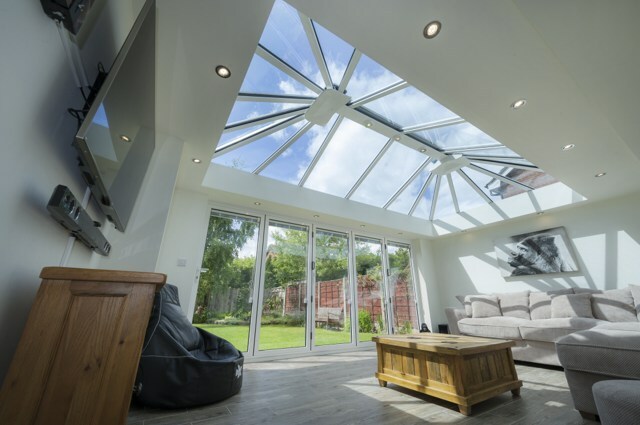 The solar control coating reflects much of the heat from the sun keeping the interior cooler and significantly reduces the amount of heat in the conservatory providing a more comfortable and useable living space. The coating is incorporated into our tinted roof glass which also provides solar control as they absorb more heat and radiate it back to the outside. Combining a tint with a coating to reflect even more heat will increase the overall cooling performance even further whilst absorbing some of the glare into the room. Our top performing roof glass reflects up to 80% of the suns heat. Combining this solar control glass with our energy efficient inner pane provides unbeatable thermal insulation, reflecting heat back into the room and reducing heat loss more effectively than traditional low-emissivity glass products. The result? 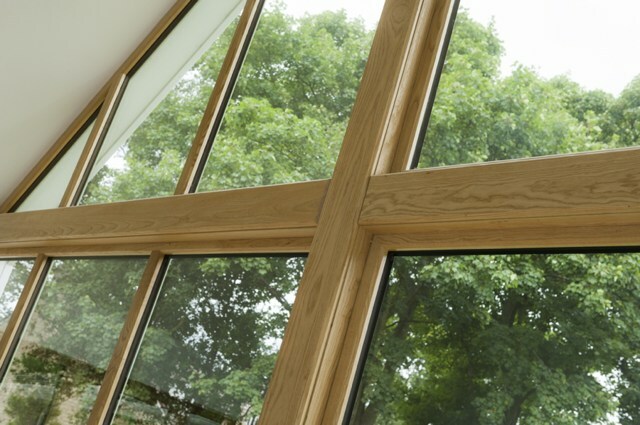 You can have the best of both worlds, our doubled glazed units provide - solar control coating on the outer face to keep cooler in warmer summer months, and the thermal retention properties of the low ‘e’ coating on the inner pane to keep the room warm in the winter. Our performance glass is not only used for new fit glazed extensions and orangeries but is also Ideal for conservatory roof replacements. Replacing a plastic conservatory roof to a new glass conservatory roof can transform a conservatory in many ways. Creates a brighter environment with natural light, compared to polycarbonate roofs or indeed tiled conservatory roofs with or without skylights. Helps bring the “outside in”, creating a light filled room that can be used all year round. 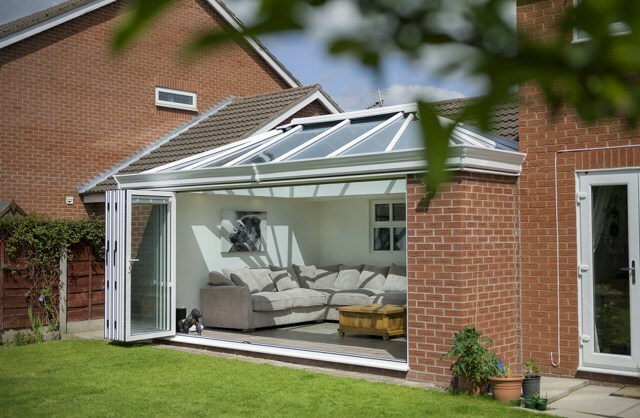 Older plastic roof conservatories have a reputation of being too hot in the summer and being drafty and chilly in the winter months, but by specifying the correct conservatory frame and roof glass this can truly be a thing of the past. Our performance glass combines our latest solar control roof glass products to create high performance conservatory roof glass with outstanding thermal efficiency. However, when purchasing a conservatory or conservatory roof replacement, many people choose solar control glass for the roof, but do not consider it for the sidewalls. In south or west facing conservatories in particular, the amount of heat build up can make the conservatory uncomfortable, even when solar control glazing has been used overhead. Our range of conservatory specific side frame glass combines solar control and thermal insulating properties, to provide a comfortable year round environment, enabling the homeowner to get the most out of your conservatory or orangery whatever the weather. This glass can save you money on energy bills too, providing a wise investment to any home. The thermal insulating properties mean it will use less energy to heat the conservatory to the desired temperature. Keep cool in summer... and warm in winter. Reduce heat gain by up to 80%. Most thermally efficient glass on the market. Self cleaning technology, built in for life of the glass unit. Glass can enhance windows & doors in more ways than you might imagine. Windows provide a source of natural lighting for our homes. Glass can be specified to achieve improved window performance, as well as aesthetic enhancement to any style of home. The choice of products has never been so great. Replacing or installing new windows provides the opportunity to enhance your home in terms of appearance, energy saving and comfort. The benefits that glass can provide should each be considered to help choose the right product combination for you. Prefix Systems can provide a range of window & door glass solutions offering energy saving, self cleaning and other benefits in addition to providing natural lighting. A range of luxury windows and doors made from high-end timber internally and aluminium externally.